Japanese engineering has always been a cut above the rest. In automobiles, motorcycles and electronics; so why should the marine industry be any different? Well it's not. Yamaha continues to be a leader in recreational marine products and what makes them so successful is that they take technology that works in other platforms and apply it to something different. This is a theme that started when Yamaha was first incorporated in 1973. Sent from Japan, this new branch was set to address the Canadian market with a line-up of snowmobiles and motorcycles. They have since branched into the marine market and continue to make some of the most popular and reliable products for sale in the industry. From their entry level, value priced VX series that feature their most popular VX cruiser, to their FX line that features the flagship FX Cruiser SHO or Super High Output that's both sporty and luxurious to their FZ series that are built for white knuckle exhilaration riding, Yamaha features some of the best Waverunners for sale on the water today. The same is with their Sport boats for sale. 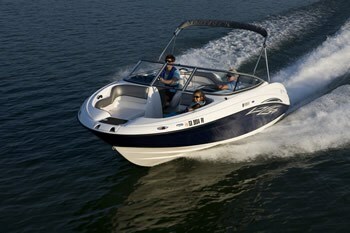 Yamaha dares you to compare them to the traditional stern drive boat. From ease of maintenance, to performance to fuel economy, the Yamaha jet drive system stands up to or exceeds stern drive in all categories. The 242 Limited S is one of the most well rounded and luxurious boats in not only the jet boat market, but on the water today. 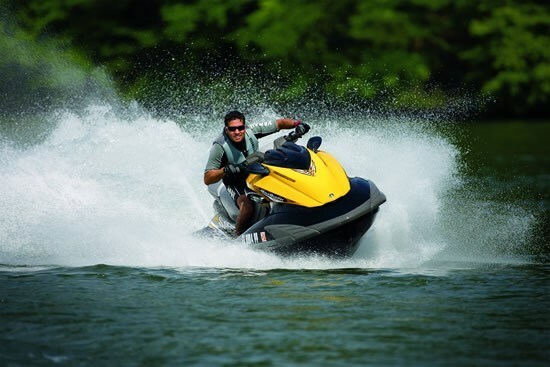 Their AR Series are sporty and filled with features that wake sports enthusiasts look for. 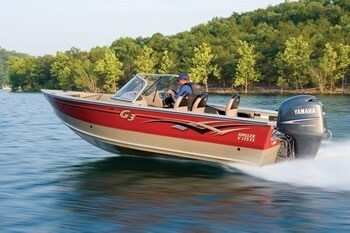 G3 boats are built to the highest of all fishermen's standards, especially when powered with a Yamaha Outboard motor. Speaking of outboards, Yamaha offers one of the widest range of Outboard motors for sale. From two-stroke to four-stroke, 2.5hp to 350hp V8's they have it all! Their V8 Four-strokes are revolutionary as the world's first four-stroke V8 outboard that delivers more horsepower than most twin outboard configuration. It's this type of success that continues to keep Yamaha at the top in all categories on the water, but without customer service, it all means nothing. That's why Yamaha implements the 5 star dealer program that has dealers committed to providing the best end to end customer service in the business. Yamaha has the history to back it up. They have a number of dealers so loyal to the brand they have been carrying them since the very first day, and 58 dealers who have been carrying them for up to 20 years.